Non-standard evaluation · Advanced R.
Look at the labels on the axes. How did R know that the variable on the x axis is called x and the variable on the y axis is called sinx? In most programming languages, you can only access the values of a function’s arguments. In R, you can also access the code used to compute them. This makes it possible to evaluate code in non-standard ways: to use what is known as non-standard evaluation, or NSE for short. NSE is particularly useful for functions when doing interactive data analysis because it can dramatically reduce the amount of typing. Capturing expressions teaches you how to capture unevaluated expressions using substitute(). Non-standard evaluation shows you how subset() works by combining substitute() with eval() to allow you to succinctly select rows from a data frame. Scoping issues discusses scoping issues specific to NSE, and will show you how to resolve them. Calling from another function shows why every function that uses NSE should have an escape hatch, a version that uses regular evaluation. Substitute teaches you how to use substitute() to work with functions that don’t have an escape hatch. The downsides finishes off the chapter with a discussion of the downsides of NSE. Before reading this chapter, make sure you’re familiar with environments (Environments) and lexical scoping (Lexical scoping). You’ll also need to install the pryr package with install.packages("pryr"). Some exercises require the plyr package, which you can install from CRAN with install.packages("plyr"). For now, we won’t worry about exactly what substitute() returns (that’s the topic of the following chapter), but we’ll call it an expression. substitute() works because function arguments are represented by a special type of object called a promise. A promise captures the expression needed to compute the value and the environment in which to compute it. You’re not normally aware of promises because the first time you access a promise its code is evaluated in its environment, yielding a value. substitute() is often paired with deparse(). That function takes the result of substitute(), an expression, and turns it into a character vector. We’ll learn about the ideas that underlie all these examples by looking at one particularly useful application of NSE: subset(). Why does this happen? Carefully read the documentation for ?deparse. Can you write a wrapper around deparse() so that it always returns a single string? Why does as.Date.default() use substitute() and deparse()? Why does pairwise.t.test() use them? Read the source code. pairwise.t.test() assumes that deparse() always returns a length one character vector. Can you construct an input that violates this expectation? What happens? f(), defined above, just calls substitute(). Why can’t we use it to define g()? In other words, what will the following code return? First make a prediction. Then run the code and think about the results. subset() is special because it implements different scoping rules: the expressions a >= 4 or b == c are evaluated in the specified data frame rather than in the current or global environments. This is the essence of non-standard evaluation. How does subset() work? We’ve already seen how to capture an argument’s expression rather than its result, so we just need to figure out how to evaluate that expression in the right context. Specifically, we want x to be interpreted as sample_df$x, not globalenv()$x. To do this, we need eval(). This function takes an expression and evaluates it in the specified environment. quote() and eval() are opposites. In the example below, each eval() peels off one layer of quote()’s. Because lists and data frames bind names to values in a similar way to environments, eval()’s second argument need not be limited to an environment: it can also be a list or a data frame. subset2() has a bug if you use it with a single column data frame. What should the following code return? How can you modify subset2() so it returns the correct type of object? The real subset function (subset.data.frame()) removes missing values in the condition. Modify subset2() to do the same: drop the offending rows. What happens if you use quote() instead of substitute() inside of subset2()? The third argument in subset() allows you to select variables. It treats variable names as if they were positions. This allows you to do things like subset(mtcars, , -cyl) to drop the cylinder variable, or subset(mtcars, , disp:drat) to select all the variables between disp and drat. How does this work? I’ve made this easier to understand by extracting it out into its own function. What does evalq() do? Use it to reduce the amount of typing for the examples above that use both eval() and quote(). What went wrong? You can get a hint from the variable names I’ve chosen: they are all names of variables defined inside subset2(). If eval() can’t find the variable inside the data frame (its second argument), it looks in the environment of subset2(). That’s obviously not what we want, so we need some way to tell eval() where to look if it can’t find the variables in the data frame. The key is the third argument to eval(): enclos. This allows us to specify a parent (or enclosing) environment for objects that don’t have one (like lists and data frames). If the binding is not found in env, eval() will next look in enclos, and then in the parents of enclos. enclos is ignored if env is a real environment. We want to look for x in the environment from which subset2() was called. In R terminology this is called the parent frame and is accessed with parent.frame(). This is an example of dynamic scope: the values come from the location where the function was called, not where it was defined. plyr::arrange() works similarly to subset(), but instead of selecting rows, it reorders them. How does it work? What does substitute(order(...)) do? Create a function that does only that and experiment with it. What does transform() do? Read the documentation. How does it work? Read the source code for transform.data.frame(). What does substitute(list(...)) do? How does mutate work? What’s the key difference between mutate() and transform()? What does with() do? How does it work? Read the source code for with.default(). What does within() do? How does it work? Read the source code for within.data.frame(). Why is the code so much more complex than with()? This is an example of the general tension between functions that are designed for interactive use and functions that are safe to program with. A function that uses substitute() might reduce typing, but it can be difficult to call from another function. Here I use the suffix _q to indicate that it takes a quoted expression. Most users won’t need this function so the name can be a little longer. Base R functions tend to use a different sort of escape hatch. They often have an argument that turns off NSE. For example, require() has character.only = TRUE. I don’t think it’s a good idea to use an argument to change the behaviour of another argument because it makes function calls harder to understand. The following R functions all use NSE. For each, describe how it uses NSE, and read the documentation to determine its escape hatch. Base functions match.fun(), page(), and ls() all try to automatically determine whether you want standard or non-standard evaluation. Each uses a different approach. Figure out the essence of each approach then compare and contrast. Add an escape hatch to plyr::mutate() by splitting it into two functions. One function should capture the unevaluated inputs. The other should take a data frame and list of expressions and perform the computation. What’s the escape hatch for ggplot2::aes()? What about plyr::.()? What do they have in common? What are the advantages and disadvantages of their differences? The version of subset2_q() I presented is a simplification of real code. Why is the following version better? Rewrite subset2() and subscramble() to use this improved version. 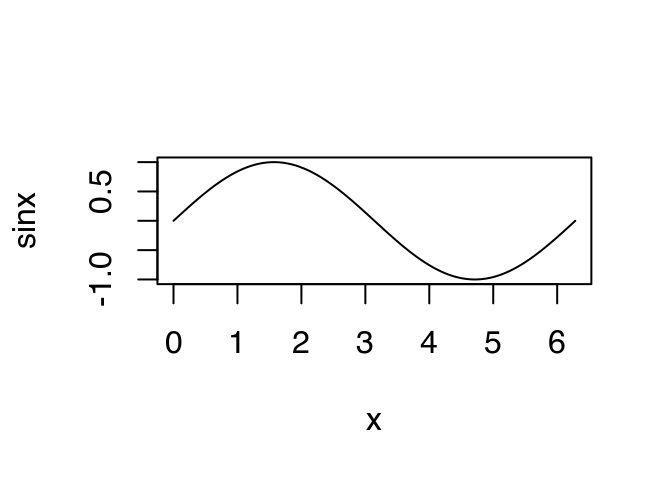 an ordinary variable, it’s replaced by the value of the variable. a promise (a function argument), it’s replaced by the expression associated with the promise. Otherwise it’s left as is. To create the plot, we’d then eval() this call. The implementation of substitute_q() is short, but deep. Let’s work through the example above: substitute_q(x, list(a = 1, b = 2)). It’s a little tricky because substitute() uses NSE so we can’t use the usual technique of working through the parentheses inside-out. A slightly more rigorous version of substitute_q() is provided by the pryr package. This uses the alist() function which simply captures all its arguments. This function is the same as pryr::dots(). Pryr also provides pryr::named_dots(), which, by using deparsed expressions as default names, ensures that all arguments are named (just like data.frame()). For each of the following pairs of expressions, describe why you can’t use subs() to convert one to the other. How does pryr::named_dots() work? Read the source. The biggest downside of NSE is that functions that use it are no longer referentially transparent. A function is referentially transparent if you can replace its arguments with their values and its behaviour doesn’t change. For example, if a function, f(), is referentially transparent and both x and y are 10, then f(x), f(y), and f(10) will all return the same result. Referentially transparent code is easier to reason about because the names of objects don’t matter, and because you can always work from the innermost parentheses outwards. Things start to get complicated if the variable is associated with a value. What package will this load? There are a number of other R functions that work in this way, like ls(), rm(), data(), demo(), example(), and vignette(). To me, eliminating two keystrokes is not worth the loss of referential transparency, and I don’t recommend you use NSE for this purpose. I think it’s worthwhile because it eliminates a lot of redundancy in the common scenario when you’re creating a data frame from existing variables. More importantly, if needed, it’s easy to override this behaviour by supplying names for each variable. Non-standard evaluation allows you to write functions that are extremely powerful. However, they are harder to understand and to program with. As well as always providing an escape hatch, carefully consider both the costs and benefits of NSE before using it in a new domain. What does the following function do? What’s the escape hatch? Do you think that this is an appropriate use of NSE? Instead of relying on promises, you can use formulas created with ~ to explicitly capture an expression and its environment. What are the advantages and disadvantages of making quoting explicit? How does it impact referential transparency? Read the standard non-standard evaluation rules found at http://developer.r-project.org/nonstandard-eval.pdf.